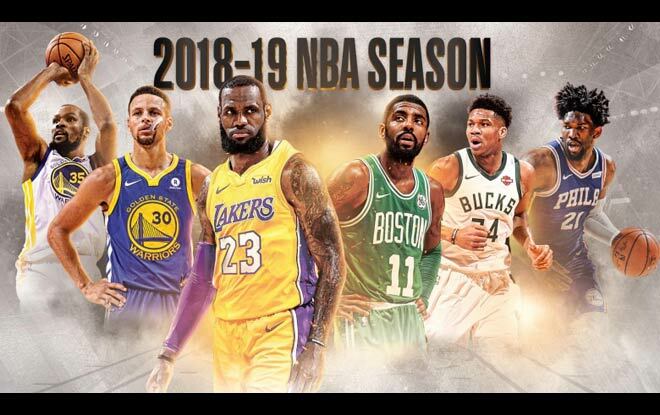 The 2018-19 NBA season is almost upon us, and the top online betting sites offer a vast array of basketball wagers. And the most exciting and suspenseful story heading into the season is, who will the Eastern Conference? Forget the NBA Championship. We’ve all seen that movie before; it’s a rerun (though we’ll cover that too). It could even be said that the Eastern Championship is the title to win. Sort of like when the Ultimate Warrior held the Intercontinental Championship. Even the World Heavyweight Championship almost took a backseat. We all know the Golden State Warriors will win the Western Conference and the Larry O’Brien trophy. But with LeBron James gone to La La Land, the East is wide open. The Celtics are the heirs apparent to the Cleveland Cavaliers’ throne. I guess this is what Kyrie Irving all along. Even in different teams, he would always have been in LeBron’s shadow. Now that they are in different conference, the East is Irving’s for the taking. Today, the Eastern Conference; tomorrow, the flat world. Though he may not be able to count on Gordon Hayward early on. The Raptors took a great step forward when they got rid of DeMar DeRozan and acquired Kawhi Leonard in his stead. The former NBA Champion, Finals MVP, and Defensive Player of the Year will have a chance to turn a new leaf. Leonard played just nine games last season as he struggled with injuries. If the Sixers can finally get a full season out of their biggest stars, then they’ll remain top online betting sites candidates. One thing is almost certain. The NBA Championship will remain in the West. The greater threats to the Warriors dominance are James ‘Ragin’’ Harden’s Houston Rockets and LeBron’s Los Angeles Lakers. Make no mistake, though. This is not the second coming of Kobe Bryant. At both men’s prime, the King is always going to be better than the Black Mamba. But James in Los Angeles is these times’ equivalent of Michael Jordan returning to play for the Washington Wizards. Not that the Big LeBronowski isn’t still a formidably competitive players. However, the only difference from last season is that he would lose to the Warriors as a Laker and not as a Cav. And in the Western Conference Finals and not the NBA Finals. And speaking of veterans burning up whatever fuel is left in their tanks, Carmelo Anthony. Melo joins Chris Pauls’ attempts to assist Harden in finally winning an NBA championship ring. And one for themselves in the process. Top online betting sites see the Warriors winning the most regular season games. That would actually be an improvement of five games compared to last season. The Dubs have experienced the law of diminishing returns since their record-setting 73-game winning 2015-16 season. Tellingly, the Lakers don’t make the win total top 5, even with LeBron. The best online sportsbooks expect Los Angeles to win 49 games. Which would still be a great deal better than last season’s 35. In other words, James’s arrival should translate into over ten more regular season wins. And their first winning season and playoff berth since 2012-13. All odds taken from MyBookie.ag.